The NEW Hollow Earth Insider » Trey Gowdy Gets ATF Special Agent To Admit “Fast & Furious” Obama Administration Scandal! Rep. Trey Gowdy (R-SC) questions Attorney General Eric Holder during the full committee hearing “Fast & Furious: Management Failures at the Department of Justice” on February 2, 2012. Question: Is Holder a lying weasel? Yes or No? Or could it be he actually is just this grossly and utterly incompetent? Therightscoop.com reports Issa admits at the end of this clip that he intentionally treated Holder like a hostile witness because of his lack of cooperation with congressional attempts to get information from the DOJ about Fast and Furious. In fact Sheila Jackson-Lee comes to Holder’s defense, twice, as Issa won’t allow Holder to filibuster his questions. 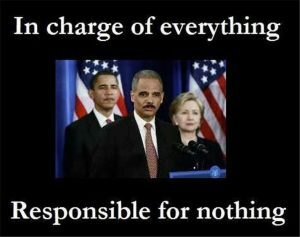 Issa to AG Holder: Who Is Responsible for Operation Fast & Furious? Rep. Darrell Issa (R-CA), Chairman of the House Committee on Oversight and Government Reform, questions U.S. Attorney General Eric Holder on Operation Fast and Furious during the June 7, 2012 House Judiciary hearing. Operation “Fast and Furious.” At least 2,000 guns sent south to Mexico to arm cartel killers. Guns used in the murder of Border Patrol Agent Brian Terry. The stated goal of allowing these purchases was to continue to track the firearms as they were transferred to higher-level traffickers and key figures in Mexican cartels, with the expectation that this would lead to their arrests and the dismantling of the cartels. The tactic was questioned during the operations by a number of people, including ATF field agents and cooperating licensed gun dealers. 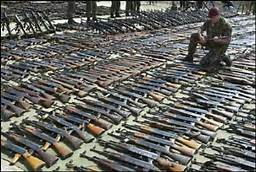 During Operation Fast and Furious, by far the largest “gunwalking” probe, the ATF monitored the sale of about 2,000 firearms, of which only 710 were recovered as of February 2012. A number of straw purchasers have been arrested and indicted; however, as of October 2011, none of the targeted high-level cartel figures have been arrested.